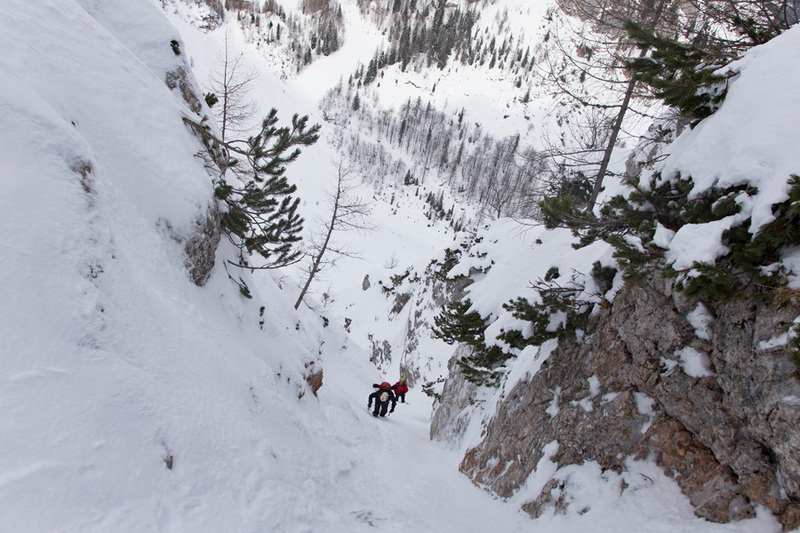 A short photo essay of this weekend's ski mountaineering trip on Begunjšćica. 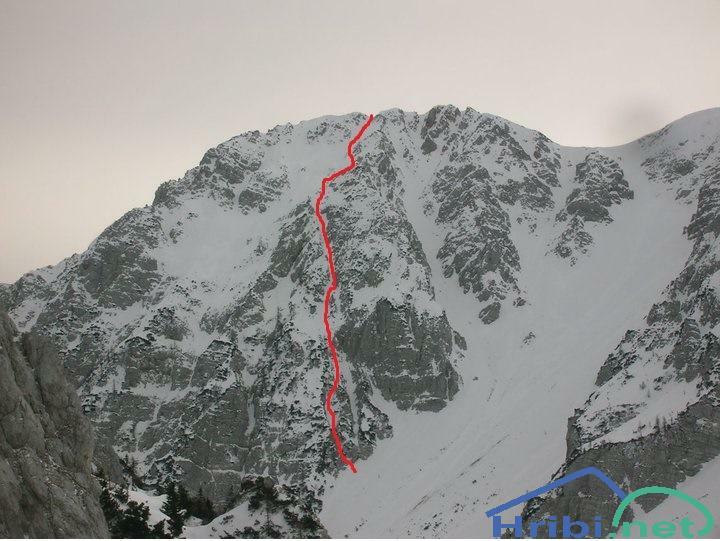 Climb up was via Lenuhova grapa and skiing down was on Sestopni plaz couloir. 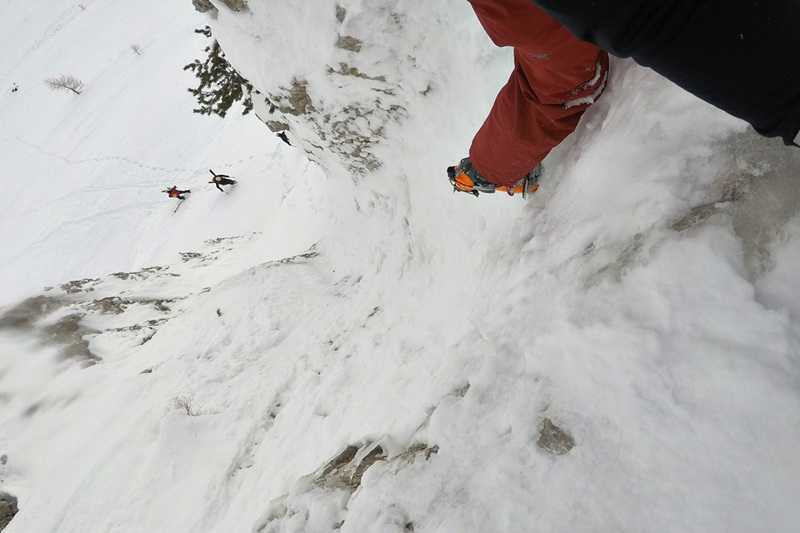 The trip took place on Saturday, February 9th on this unusually snowless winter season. Snow height on Zelenica was measured 120cm. There was some snowfall in last 10 days and week preceding our trip has seen warmer weather that solidified the snow pack. We knew the recent avalanches on Šentanski have made it less ideal for skiing (a bit of an understatement) and so we decided to do two couloirs - Lenuhova grapa on the way up and Sestopni plaz on the way down. It turned out it was a very good trip. Read and watch below. Here is the route of the Lenuhova climb taken from Hribi.net. It is a 300m long route, graded IV-, 55° /40°-50° Route ends at 1.991m. 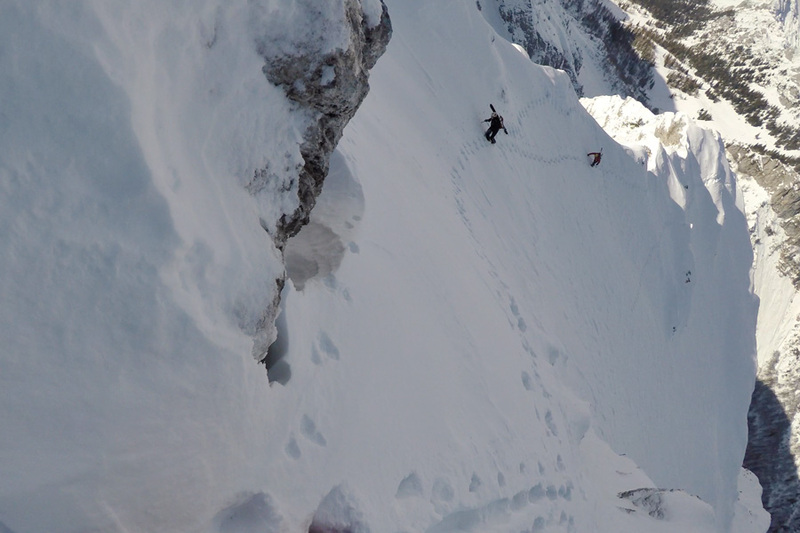 Skiing down was on the bigger couloir to the right - Sestopni plaz. The crux of the route was at the very start. 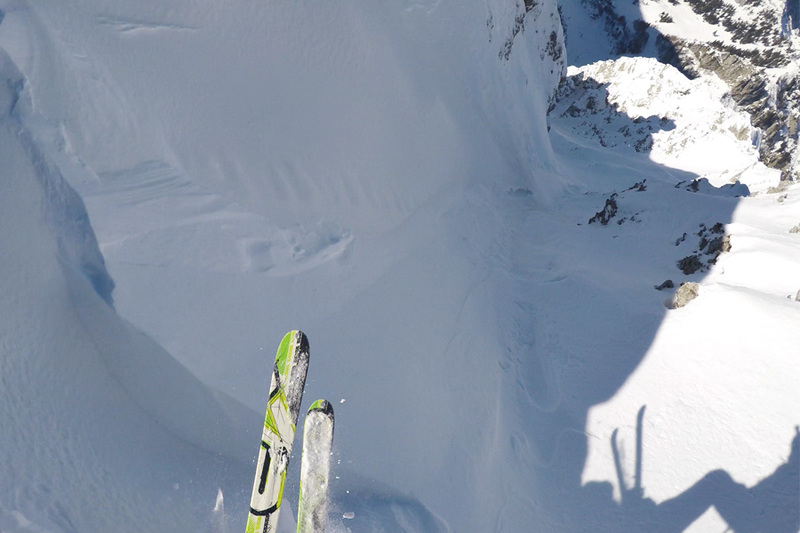 Due to lack of snow, this is where the 'jump' is the biggest. 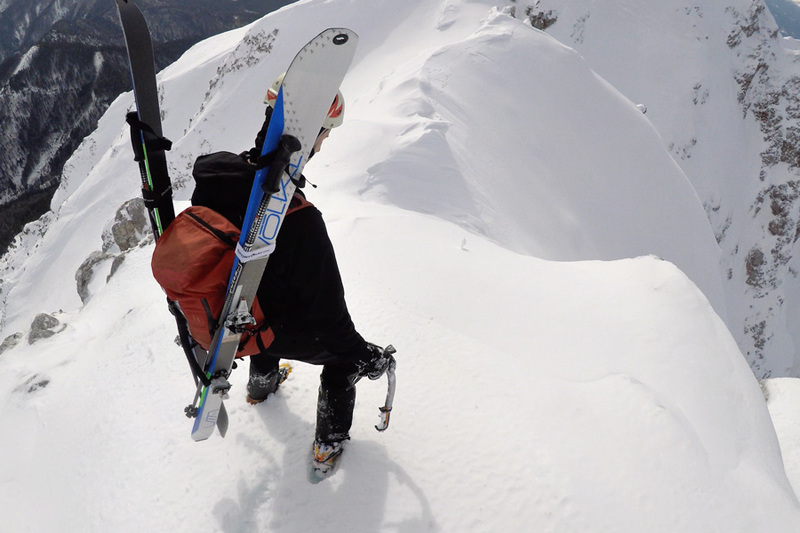 That kind of killed all the hopes of potentially skiing the same route down. We'll save that for another day. 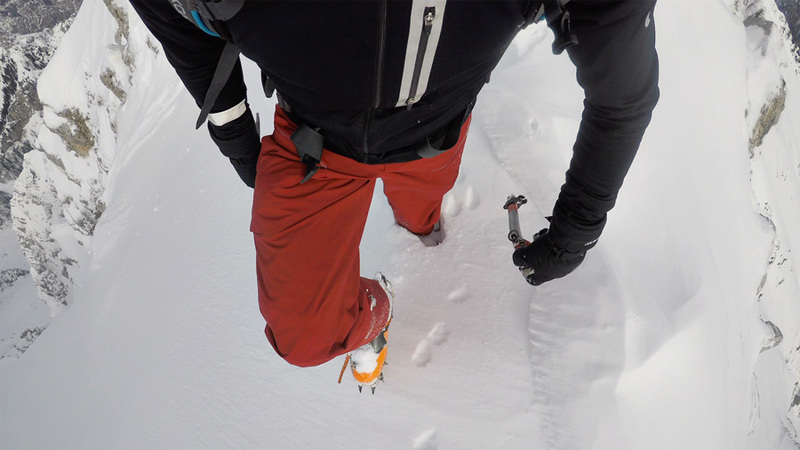 Further up, snow pack was solid and of perfect consistency to make footsteps. One of the climbers we chated with at the bottom of the route cautiously waited to see how we'll do and the joinin us on the way up. Further up the route scenic views of the saddle below. As you can see - tons of trees and a spring-like setting. As I write this 40cm of new snow fell on Sunday, day after our trip. Good news for the weeks ahead. The winter is there, it is just coming later every year. After three quarters of the route up, we reach the ridge and get our first rays of sunshine. From there it is a scenic climb along the ridge. Here, there was much more snow but the pack was still consistent. Most of the route we were setting up tracks ourselves. It was on the ridge where we saw the first animal tracks that lead pretty much the way of the route. The animal knows how to choose a scenic way to the bathroom. The final leg of the climb. The two gentlemen climbing with us this trip had a bit of flu earlier in the week. By the time we reach the ridge, symptoms were gone. Tiredness was there, but that's manageable. 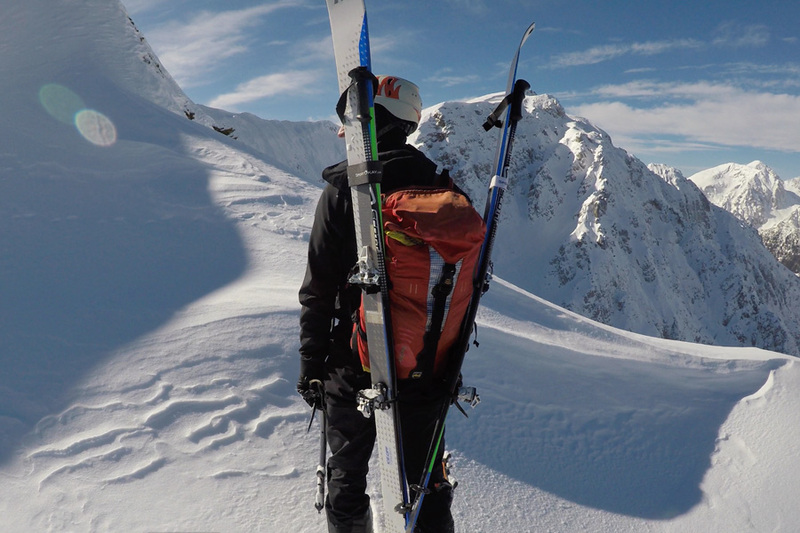 Is there a better remedy to heal the body and the soul than some time in the mountains? ...with stunning views on both sides. The snow was blown away and so the animal tracks were more precise and elaborate. There were traces of claws on the feet of the small mountain dweller - see below the foot. Even the start of Sestopni had a bit of a jump. After the initial narrow run the couloir later widens. All virgin snow free for us to carve our way through. While there was a bit of crust at the top - it soon gave way to a section with almost powder like conditions. 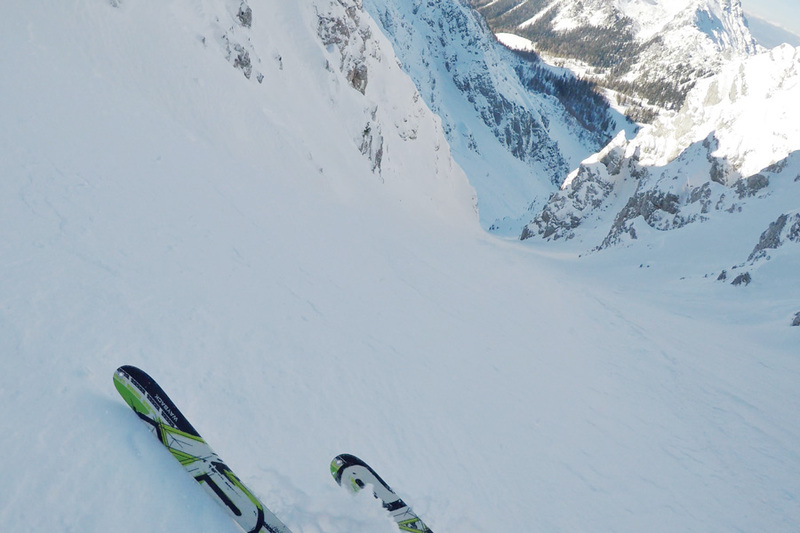 Down at the bottom of the couloir, the route joined Šestanski plaz. Skiing there was on the snow 'boulders' formed by the avalanche tracks from weeks ago. An exciting day out with some super fun skiing. Happy days! 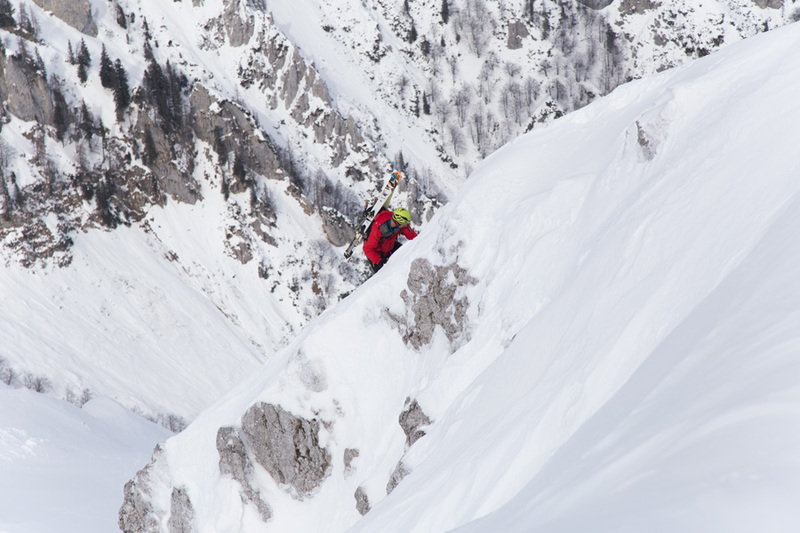 Complement this piece with a super fun skiing from mountain Cmir or see what a proper powder day looks like in Slovenia.